When you go hunting, you need a great pack to carry your gear. Easy access to your essentials can ensure your hunting success. The length of your hunting trip determines the best type of pack for your needs. For day trips, there are specific packs that will serve you best. Day packs are the sweet spot between small waist packs and larger hunting backpacks. They are designed to carry all of the essentials, without the bulk of a bigger pack. This helps you remain light and mobile while being adequately prepared to hunt. How much gear do you like to pack on day trips? Your answers to these questions inform the type of pack and size of pack you will need. Different packs are designed for specific types of hunting: bow hunting, elk hunting, etc. You will need a pack that corresponds with your personal hunting methods. You will also need a pack that fits all of your day trip gear. Consider how light vs. heavy you tend to pack for day trips, and then pay attention to the size of various packs. Having plenty of space ensures you can carry your essentials with ease. Popular packs are generally designed to feel comfortable on the body. Features like padding on the shoulder straps and waist belt ensure comfort while carrying. Some packs have adjustable sternum straps to relieve your back of some weight. Day packs must be durable to be effective. Resistance to wear and tear is essential for a reliable pack. Strong pack material can make all the difference when it comes to keeping your gear safe. The ALPS OutdoorZ Dark Timber Hunting Day Pack ranks “Best Overall” for its popularity among customers. Hunters love this pack for day trips because its spacious compartments are practical, making essential gear easily accessible. The straps of this pack are designed for compression, alleviating the feeling of a heavy pack on your back. These straps are also adjustable and feature padding. Additionally, the waist belt is padded for maximum comfort. Some customers wish that in addition to having large pockets, the pack had some smaller ones. Since staying hydrated is a must when hunting, the hydration port and side mesh pockets of this pack are ideal for carrying water. 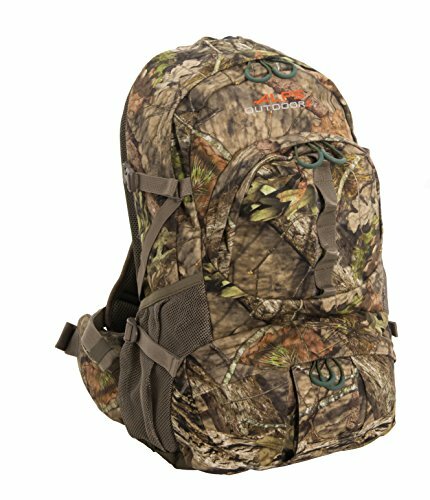 Customers appreciate the durable material of this pack, and its “Mossy Oak Country” print keeps you perfectly camouflaged as you hunt. 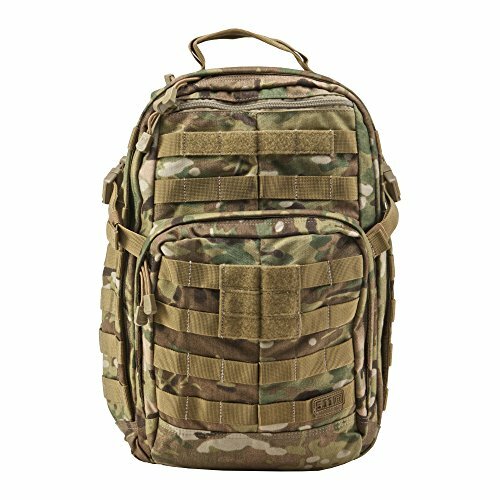 Reviews report that this pack is most comfortable on small/medium body builds. Weighing just over 2 lbs, the ALPS OutdoorZ is lightweight and easy on the body even with all your gear inside. Overall, this is the best pack for hunting day trips. Made of durable material, the ALPS OutdoorZ day pack offers plenty of room for your crucial gear. Built-in padding keeps you comfortable as you hunt, and the hydration port ensures easy transportation of water. Blend into your surroundings with this pack’s earthy print. You can count on a more successful hunting day with the ALPS OutdoorZ Dark Timber pack on your back. 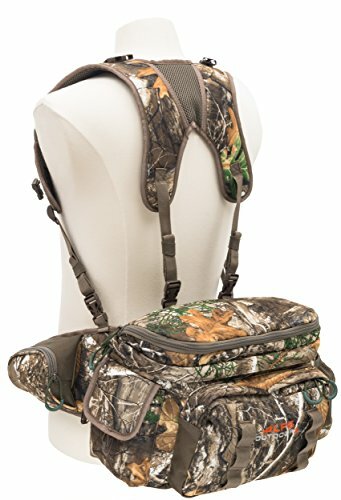 For bow hunting, the ALPS OutdoorZ Pursuit Hunting Pack is the best backpack. Bow hunters love how easy it is to stay organized on a day trip with this pack. Its drop-down bow holder pocket is designed to protect your bow as you carry it through the woods. Side quiver holders are another practical feature perfect for bow hunting. The padded waist belt includes two pockets for maximum space, and the webbing on the belt is ideal for attaching clip-style holsters. Additional compartments inside provide an abundance of space without the bulk of a larger pack. Reviews of this pack appreciate its durability, as its material is tough and resistant to wear. It is easy to stay hydrated with this pack’s hydration port. You can also stay dry in the rain with the blaze-orange rain cover. Weighing 4 lbs, this pack is on the heavier side. Some users wish it were lighter, but its weight also reflects its durability. The ALPS OutdoorZ Pursuit is available in two earthy camouflage patterns. The ALPS OutdoorZ Pursuit is an excellent choice for bow hunters. Easily fit your bow and other gear into this durable pack. Designed for comfort on the body, it’s easy to carry if you don’t mind a few extra pounds of pack weight. Stay hydrated and protected from weather conditions with the built-in hydration port and rain cover, and choose from two nature-inspired prints. There is no better pack for bow hunters than the ALPS OutdoorZ Pursuit. 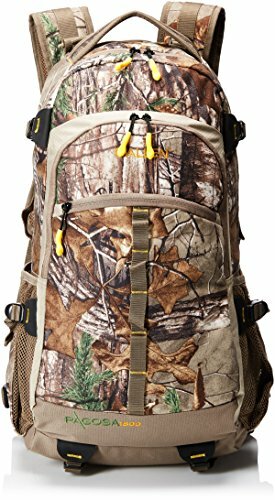 The ALPS OutdoorZ Big Bear Day Pack is the best backpack for elk hunters. This day pack has special features to optimize your elk hunting success, like its unique two-in-one bag quality. The fanny pack attached to strong, padded shoulder straps transforms into a day backpack for ultimate versatility. The shoulder harness is both adjustable and removable for your comfort. The waist belt also features padding and two pockets for extra storage space. Customers love this day pack for elk hunting, with lots of space and a comfortable fit. At 2.5 lbs, this pack is fairly lightweight. Some users wish the pack material was tougher for ideal resistance to wear and tear. This pack does not include a hydration port. The adaptability of the ALPS OutdoorZ Big Bear Day Pack makes it perfect for elk hunters. This pack can be either a fanny pack or day pack to fit all of your essentials. 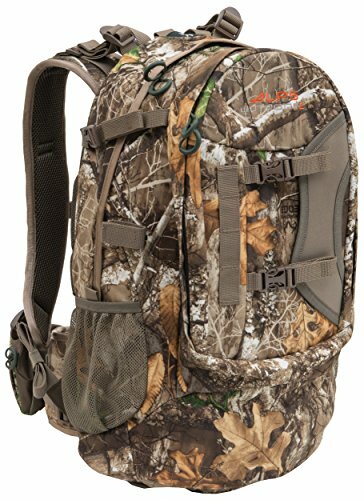 Feel at ease with this padded, comfortable pack on your back as you hunt. Adjust the straps to your liking and maintain mobility with this lightweight day pack. The Rush12 Tactical Military Assault Molle Backpack is the best camo day pack for hunters. Made of tough, waterproof nylon material, this military molle pack is optimized for organization. 16 separate compartments easily fit all your gear and customers love how the main compartment is remarkably spacious. Reviews also praise the Rush12’s excellent quality of design, with multiple attachment points located on the molle pack’s exterior. Stay hydrated with this pack’s hydration port and feel comfortable with adjustable compression straps. While the straps are adjustable, some reviews report difficulty sliding the strap buckles. Overall, the Rush12 Tactical Military Assault Molle Backpack is an excellent day pack choice for hunters who want camo. Its spacious, durable design allows you to carry all the gear you need and then some. Its tactical toughness may require your additional strength in making adjustments. You are guaranteed to blend right into your outdoor surroundings with this durable camo day pack. The Allen Pagosa Daypack ranks “Best for the Money” as an impressive blend of quality and affordability. It is significantly more affordable than many of its competitors, while still offering spacious compartments for carrying your gear. Customers praise it as the best pack for day hunts. Made of special materials, this pack is designed to help you stay quiet as you hunt in the woods. It is also designed for your ultimate comfort, featuring padded shoulder straps, back panels, and adjustable sternum and waist straps. Hunters love how easy it is to adjust this pack and how gentle it is on the body. Additionally, the zippers are lined with bright colors for optimal visibility if you are out before sunrise or after sunset. Carry your water in the hydration port and keep your tiny essentials easily accessible in the waist belt pockets. This pack is available in two earthy prints. If you are looking for an affordable day pack, the Allen Pagosa pack is the best one for your needs. It maintains the same quality and great features as its more expensive competitors. With multiple pockets, silent material, thorough padding, and a hydration port, this is the perfect affordable pack for day trips. What Do You Put in a Hunting Day Pack? Staying hydrated is essential to survival, especially when you are active. Carrying food and water with you on a day trip could save your life in an unexpected emergency situation. Always carry water and snacks in your day bag for a successful hunting trip. Packing a knife for the backcountry is a common move. Whether you carry a pocket knife or a survival knife, having a knife in your pack is a helpful tool. You never know when it could come in handy. Safety should be a priority during outdoor activities like hunting. Keeping a small first aid kit in your day pack is a great idea, just in case. Always pack your hunting license in your day pack. Being responsible in this way ensures you will not run into trouble with any officials and can enjoy your hunting day according to regulations. Carrying game bags in your hunting day pack is always smart. Having these bags easily accessible can keep your game cool and clean, and they are easy to transport inside your larger day pack. When choosing the best hunting day pack for your needs, it is important to consider the types of daypacks on the market. There are many product variations between packs, and we have reviewed a few specific variations in this article. Having a deeper understanding of them will help you make your purchase. Bow hunting day packs are specifically designed to carry your bow. Many of these packs feature drop-down pockets for your weapon to keep it protected more than the average, non-specialized pack. 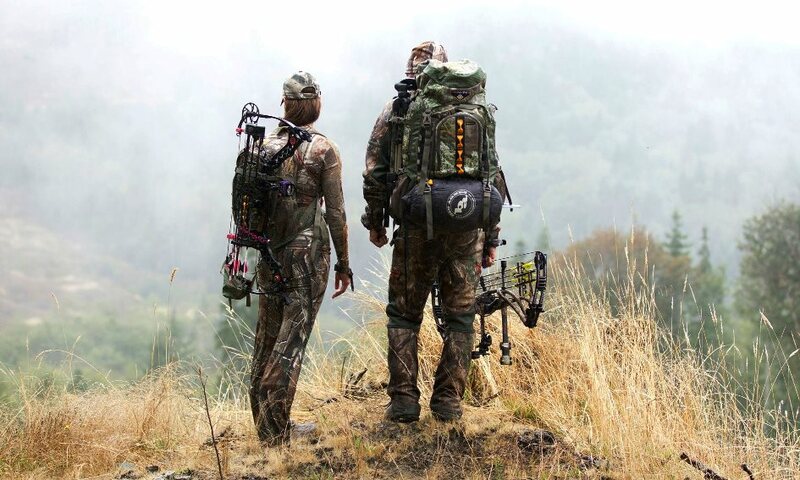 Elk hunting day packs are often designed with a two-in-one quality. The most effective ones are incredibly versatile and can transform from a fanny pack into a full day pack. Staying prepared with an adaptable bag can ensure your elk hunting success. Military molles are the most tactical of hunting day packs. They are a great choice for the tough, organized hunter. Their classic design caters to your efficiency. Typically, great day packs are more expensive due to the high quality of their design. The best pack designs ensure your comfort as the pack carrier. Features like thorough padding and adjustable straps may be absent from cheaper models. Day packs have to be durable to effectively carry all your gear. The best day packs are resistant to wear and tear, whereas cheaper models have less resilience. If you are going to buy any pack at all, it may as well be one that will last through more than one hunting trip. Great day packs have enough space for all your gear without the bulk of a larger pack. High-quality pack designs are efficient, as they keep your supplies easily accessible with features for optimal organization. Choosing an excellent day pack can be an essential investment in your hunting success. Being a prepared hunter requires that you carry all the important gear in the most efficient way possible. Day packs are the perfect medium between fanny packs and larger bags. Remain light and mobile when you choose a pack that fits your hunting style. Feel comfortable in your durable day pack and feel reassured that all your gear is safe and accessible. As a hunter, these great day packs quite literally have your back.